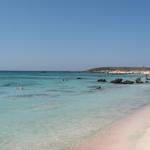 A medium size sandy beach, well organized, famous for its hippies community during the 60’s. 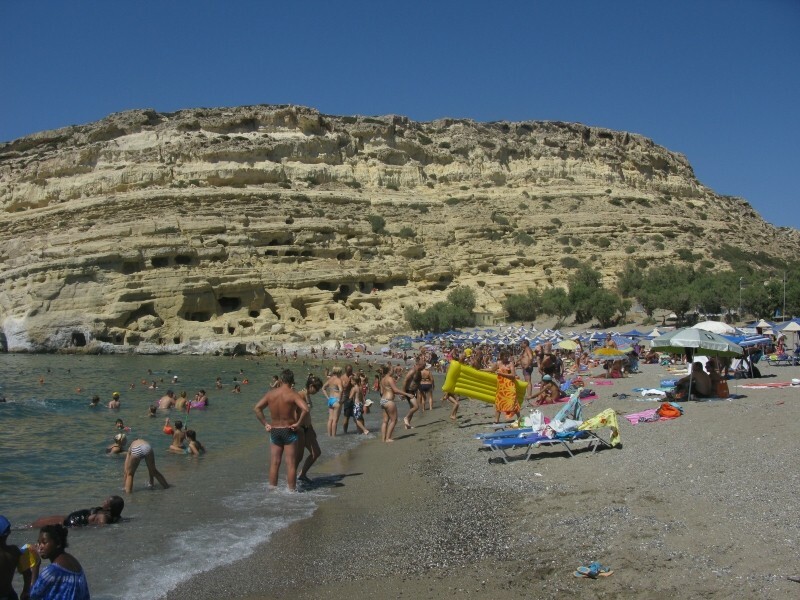 Matala is a popular beach which offers many facilities to the visitors, along with parking spaces very close to the beach. The caves in the cliff of the beach were used as a refuge for the hippies during the 60’s. Driving south on the main road from Moires to Tympaki, the side road leads you to Matala, after 1hour and 20 minutes drive from Heraklion. 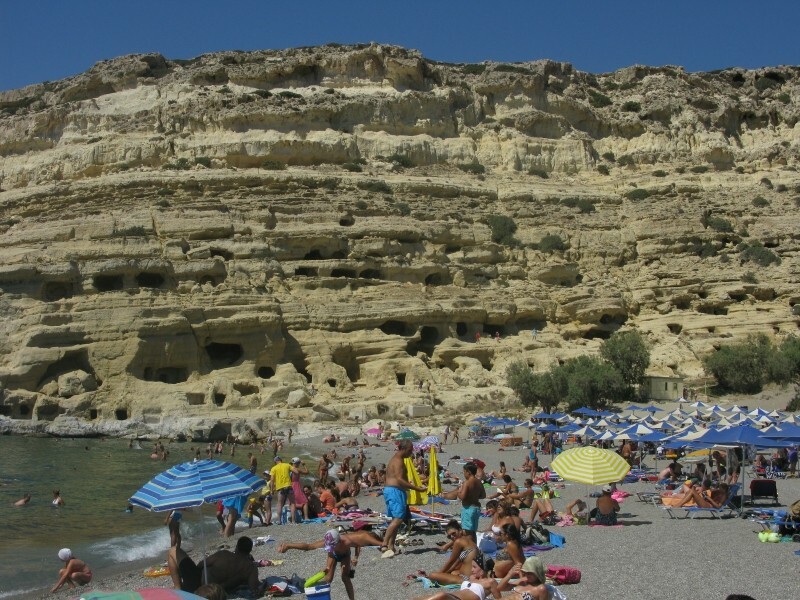 The beach and its surrounding area, especially the caves extending over the hill that pops on one side of the beach, are a famous scenery. During the 60’s and 70’s this place was the homeland of the hippies that gathered here from Greece and abroad. The beach is sandy and the waters are deep and clear. Try to swim to the natural cave that exist on the right side and rest on the rocks. 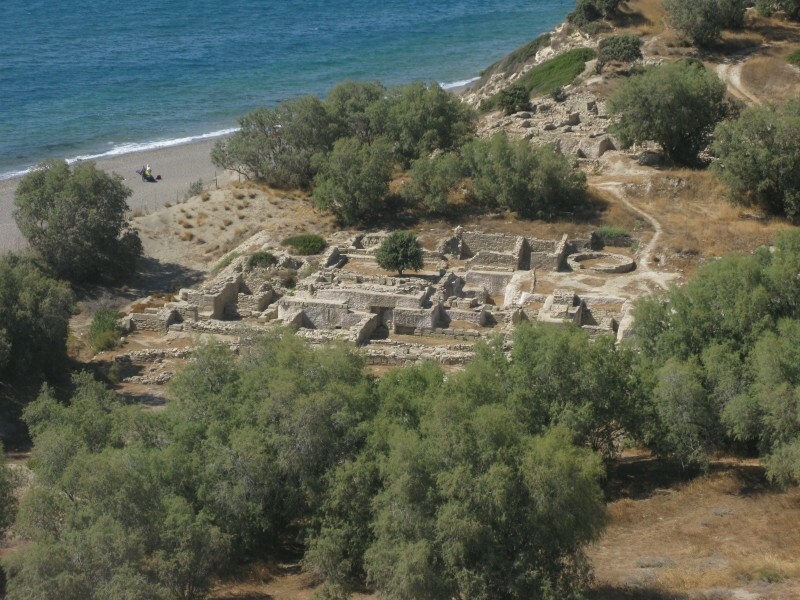 Matala used to be the harbour of Faistos during Minoan Ages and the harbour of Gortys during Roman Ages. 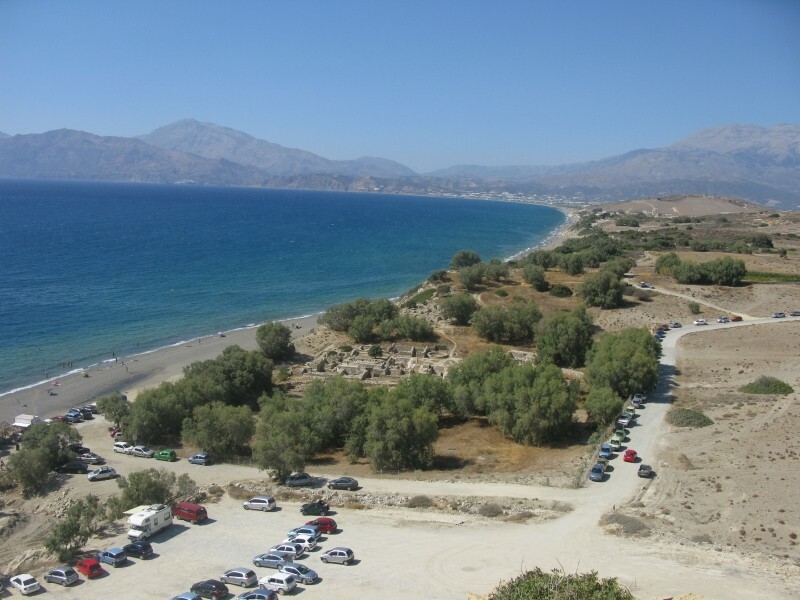 As it is popular among Greeks and foreigners, it can be crowded during weekends. Here north winds do not affect the swimmers, however south or west winds cause large waves. 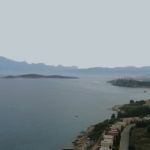 In a short distance the long unorganized Kommos beach welcomes the swimmers to the open sea.